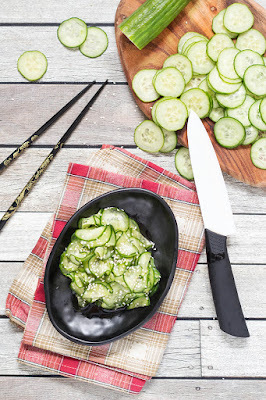 Japanese Cucumber Salad or Sunomono Salad is a crunchy, sweet, and tangy Asian salad requiring only a few simple ingredients. It is great as an appetizer or a side dish! Thinly slice the cucumber. You can do it either by hand or using a food processor. Rub the slices with salt and drain for 5 minutes in a colander. Rinse under cold running water and squeeze them tightly to remove water. Set aside. In a small bowl, mix the sugar, soy sauce, and rice vinegar until the sugar dissolves. 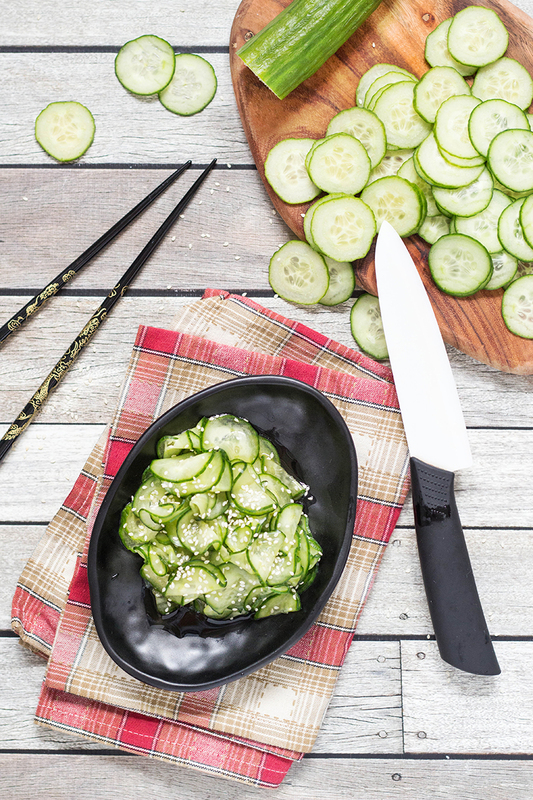 Add the dressing to the cucumber slices, sprinkle with sesame seeds and mix well. Enjoy! 0 Response to "JAPANESE CUCUMBER SALAD (SUNOMONO)"